Our list of Sail22 parts and upgrades for the J/70 continues to grow! Here's a list only of options that are available for the boat. Can you tell that we really don't sleep much? Our minds are always churning up ideas of ways to make sailing easier and more enjoyable for our clients. Please feel free to ask us any questions. We love to help! We will be at all of the J/70 Winter Circuit Events to provide support for the fleet as the J/Boats Mobile Resource Team.We hope to see you there! Sail22 is pleased to offer logistics services to J/70 teams. We offer full service packages which include boat transport, set-up, launch, haul and break down to travel to the next event or we can customize logistics to meet your individual team's needs (ie. only rig & launch or break down of boat). Our company has worked with many teams from all over the World in various one-design classes to make regattas easier and more enjoyable for teams. Rigging and boat prep of the J/70 starts at $300 and everything else is customized. We will be supporting the J/70 in conjunction with J/Boats in Key West, St. Pete, Miami, Charleston & Annapolis for the class events. Please feel free to email us at info@Sail22.com or call 574-889-0022 to discuss your upcoming regatta needs or questions on upgrades. Sail22 J/70 Regatta Services Rig, wash boat & Launch - $300 Apply Hullkote with Hullkote included - $100 Haul, Clean, De-rig and prep for trucking - $300 Transport of J/70 between events- Ask for quote Storage in Florida between events - options starting at $140/month Ask for Everything on the list and get it all at a 10% discount! Please leave ONE comment below this blog post stating that you completed step 1 below (leave only one comment please). That ONE comment will serve as your giveaway entry. 1. Like Sail22 on Facebook (if you don't already) and make this your status: “Go check out @Sail22 at www.Sail22.com to enter to win a grab bag of sailing goodies!” and leave ONE comment on the blog about what you hope we have in our goodie bags! Be sure to type the @ symbol before Sail22 to link to our page. BONUS ENTRIES ARE NOT REQUIRED TO ENTER. 1. Share a link to this blog post on your favorite Forum or Twitter. Then come back and tell us you did by leaving a link with a separate (second) comment in the comments section below. 2. Visit our little Always Happy Life / Sail22 shop and have a look around and then come back here and leave ONE comment letting us know why you want to win and what products you would add to your shopping list! 3. Go to Sail22 Photography and pick out your favorite photo. Click the Share button below the photo and put in the message "Check out the @Sail22 photography galleries from www.Sail22.com & be entered in a great giveaway!" for Facebook or for Twitter "Check out the @Sail22 photography galleries from www.Sail22.com & be entered in a great giveaway!" 4. Like Always Happy Life on Facebook. Leave another comment here to let us know you are a fan or just became one. You can have five chances to win with the bonus entries! Good Luck!!! The Sail22 Giveaway starts today and will end on March 7th at midnight (EST). The winners will be selected by random number generator and announced here on the blog on March 8th . The winners will have 24 hours to claim their winnings or another winner will be selected. This giveaway is in no way sponsored, endorsed or administered by, or associated with, Facebook. Participants are providing information to Sail22 and not to Facebook. 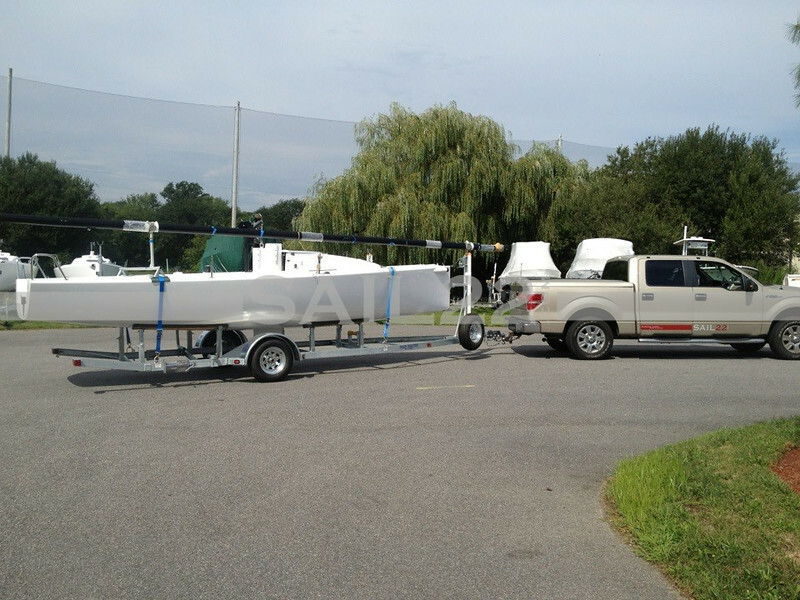 Sail22 is in Lake Geneva, Wisconsin with our Sail22 Regatta Support Trailer for the 2011 Melges 24 Nationals hosted by Lake Geneva Yacht Club on September 30th through October 2nd. The Melges 24 is one of our favorite classes to work with and we look forward to seeing everyone! 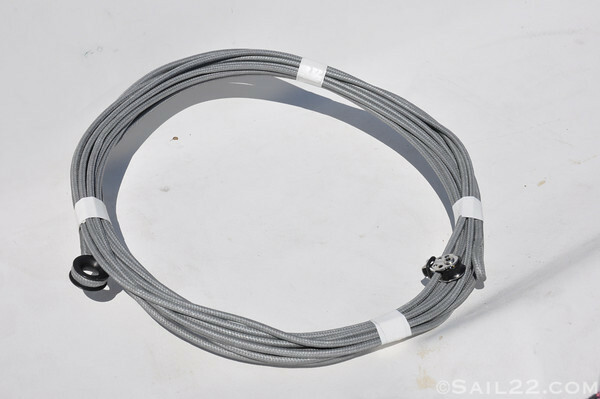 We are fully stocked with our New England Ropes cordage wall, some great new Sail22 gear, go fast Melges 24 parts and more! Sail22 will be providing our Sailing Updates live regatta coverage of the event to keep those who aren't able to be in Lake Geneva updated with mark roundings and live blogging from on the water. Becky will also be photographing the Nationals and posting images on Sail22 Photography. Just under twenty boats are already here prepping for what will be the third largest Melges 24 Nationals in the history of the class. It definitely makes sense since Lake Geneva Yacht Club is the home club of Melges Boat Works. We stopped by Zenda today to say hello and pick up a few things. Always a great place to visit! We're also bringing our newest member of the Sail22 team with us, Dana Keller, who has joined our company to provide even better customer service and support to our clients. Stop by and meet Dana at the Sail22 Support Trailer to say hello! Some favorite Sail22 gear is back in stock! We've added the gear to our Always Happy Life online store while we toy with the idea of a separate Sail22 store. It's nothing fancy, but it allows our clients to access certain products with free shipping in the USA. If you're outside the USA and interested, please just send us an email and we'll get you sorted. Sail22 Hike Damn It! Technical ShirtsWe've even customized this for a few teams! These can be customized for an additional fee. They come in short sleeved and long sleeved in black or silver. Sail22 Favorite Technical Hoodie We don't leave home without these and once you have one, you won't either. Sail22 large logo on the front and Always happy. Never satisfied.™ on the back. A great layering piece! Newly redesigned with our "Always happy. Never satisfied.™ " motto. Finally a floppy hat that fits well! Even more stylish with the Sail22 logo! A fast drying hat that is cool and light weight. We think that we improved the look by adding our Sail22 logo embroidered on the front. Ed's a visor guy and pretty picky about them. He really likes this one and they look great with the Sail22 log on the front. We've heard they quickly become a favorite! The new RBS Carbon Tapered Backstay Flicker...half the weight of the original and much more flexible! Easier to add a ton of backstay in heavy air sailing which we'll see in Charleston and Corpus Christi. We had some in Miami for Bacardi Race Week and sold out, but now have more in stock. 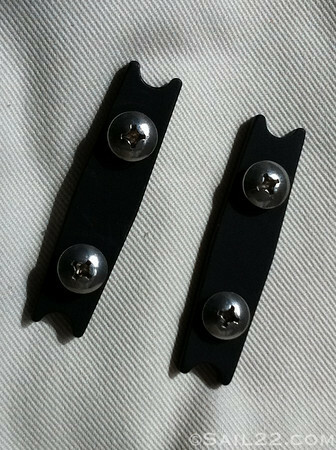 Brand new shroud locks for the Open Body Turnbuckles! These are $85/set. 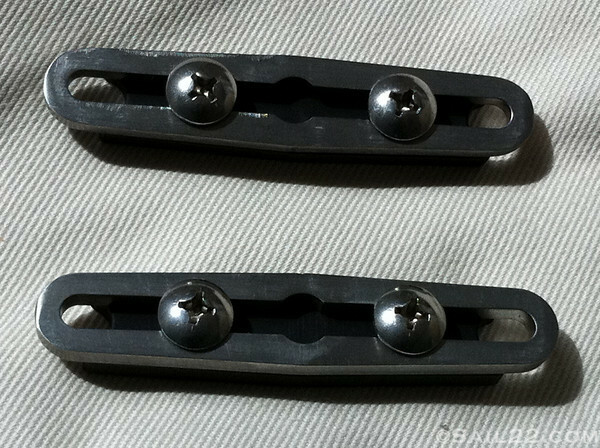 Improved Third Hands for the Open Body Turnbuckles ($100) too! 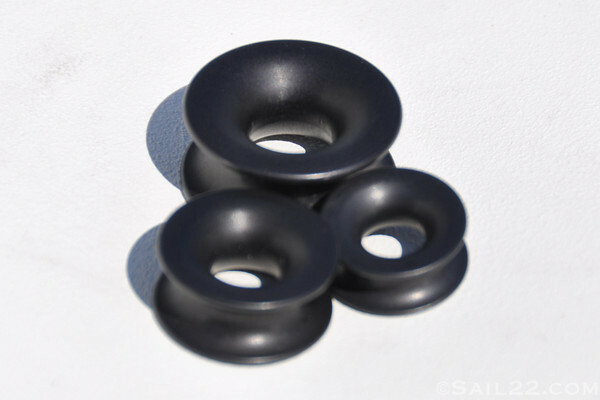 See how the Shroud Locks fit with these. The Third Hand & Shroud Lock Set sold together are $175. 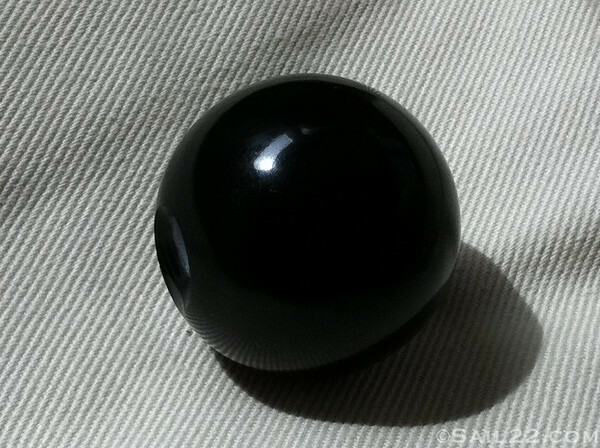 Stanchion Ball ($30) to keep the kite from getting stuck on the forward port stanchion during launches and take downs. 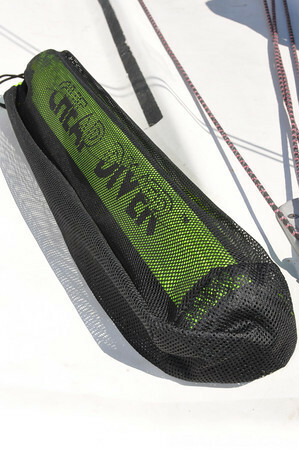 The Sail22 Ultralight Backstay ($200)...they sell out every event! The Sail22 Dog Bone ($25). Top teams have been using them on their tack lines, spin halyards and main halyards to make sure they are always in the same place. No more guess work for knot tying! No need for a diver anymore with the Cheap Diver. Quick, easy and efficient...and only costs $60. Have you tried ferrules? We use them in our Sail22 Ultralight Backstay and they can be used in other applications too. And a few of our favorite parts too. 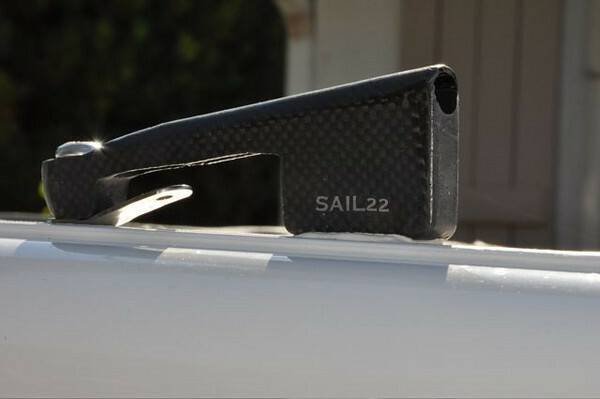 The Sail22 Carbon Tack Deflector ($125) & Carbon Jib Block Guard ($125). Another favorite new item is the Soak Halyard Clip! These great plastic clips ($19.95) allow you to anchor the halyard for going upwind and then it self-releases when you hoist the kite. 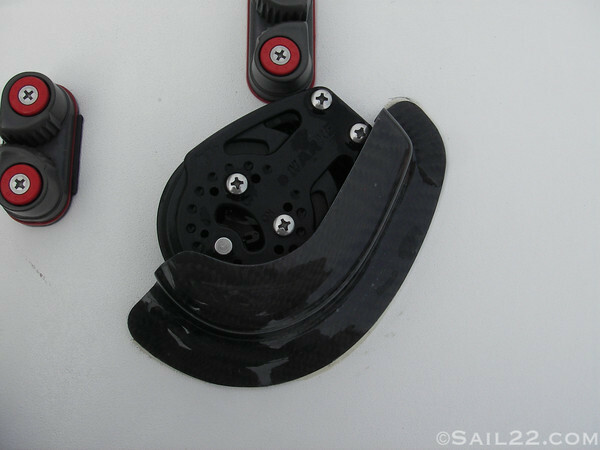 More details in this Soak Halyard Clip blog dedicated to it. Feel free to call us any time at 575-889-0022 or by email at info@sail22.com to place your order. Melges 32 & Melges 24 Sail22 Photo Calendars for 2011 are Available! The 2011 Sail22 Melges 24 & Melges 32 Calendars are here! Need a calendar for 2011? Check out the Sail22 Melges 24 Calendar and the Sail22 Melges 32 Calendar today. Great for crew gifts! Price is $35 plus shipping, with a team discount of 10% to orders of 4 or more. I need 20 confirmed pre-orders of each calendar to print them, so please contact me at Becky@Sail22.com if you are interested. All pre-orders must be received by December 23, 2010. I have just finished designing the 8 Metre Photo Calendar for 2011 and am accepting pre-orders starting today as I need a minimum of twenty orders for the printer. Retail is $35 USD plus shipping. It includes twelve gorgeous photos from the 8 Metre Worlds 2010 in Toronto, Canada hosted by the Royal Canadian Yacht Club. Here are the month previews. Please contact me at Becky@Sail22.com to order through December 23, 2010. The team galleries from the 8 Metre Worlds in Toronto can be found here. Custom team calendars can also be designed by contacting me directly. Again, there is a minimum of 20 calendars to print. Sail22 Tip & Trick: Using aluminum ferrules is a great way to lighten up the purchase on vangs, backstays and other systems. 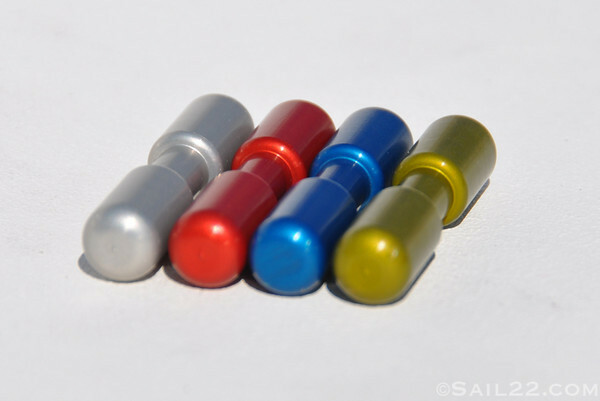 You can buy ferrules or sometimes even just use sailmakers thimbles. The breaking strength on a ferrule is much higher than a wire block and they are less expensive and much lighter. As long as it isn't a purchase system that is being using all of the time, a ferrule will not wear out your lines. Part of the reason for this is the larger circumference on the ferrule. If you need ideas where you can use one on your boat or you just want to buy them, let us know. You can save a lot of money while lightening things up. If you know how to splice you can save even more. But don't try this if you aren't comfortable with your splicing ability. Have Sail22 do it for you or contact your local rigger. 5mm Ferrule with a Dyneema loop spliced on for easy attachment to a padeye. Common ferrule sizes are based on the rope size needed. 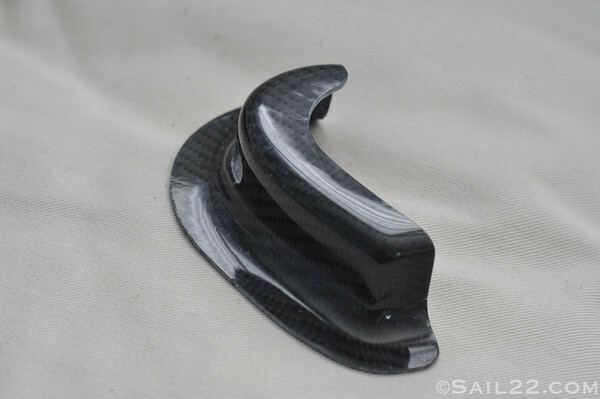 Sail22 Tack Deflector: Another piece of bling for your boat! The Sail22 Tack Deflector prevents the tack of your spinnaker from getting caught on the set, instead of having the bungee cord across the deck. And it looks pretty too, doesn't it? 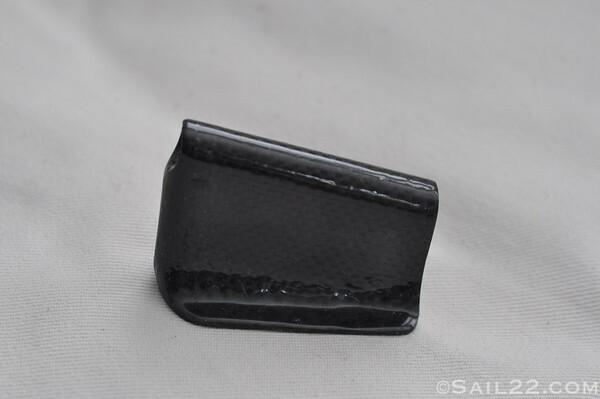 Jib Block Cover: This pretty piece of carbon keeps your spinnaker from being sucked into the port jib block during take downs. Your sheet runs free and clear and your kite goes away smoothly. If you've ever had the spinnaker stuck there, you understand why this is necessary and if you haven't, you really don't want it to happen (aka rips in your spinnaker and ugly mark rounding). L-Bracket Traveler System: Ever been on the low side and needed to adjust your traveler? It's tough...but this system allows you to do it easily. Everyone that has switched to it swears by it. It's an easy modification to simplify the skipper's life. We're off to the C-Scow Nationals this weekend at Chautauqua Lake and figured we share a favorite Sail22 Scow Spa trick. Did you know that McLube's Hullkote is not only great for go fast bottoms, but also works as an amazing degreaser and cleaner? The great thing about Hullkote is that it is citrus based is better for both you and the environment. Since citrus is a natural degreaser, it quickly works to remove the grime. Think about the smell and feel of the petroleum based teflon polishes. You might as well bathe your hands in gasoline with the traditional teflon product, but not with Hullkote, which has a fresh citrus scent (smells like oranges!) and cool lime green color. Click here for the directions for normal application of McLube's Hullkote and here for the product specs which detail the how/why it works. Whenever we have a really dirty spot on a boat, we'll grab our favorite bottle of Hullkote and a rag and make a paste over the spot. If the whole boat is dirty (think city grit in Chicago or the lovely jet fuel in Annapolis), we'll spray the boat down and then use the Hullkote to get her clean and fast. If the spot is really, really bad, apply the Hullkote liberally a second time, let it dry a little (it will be a light green, so it's easy to find), break out your buffer or some elbow grease and you should be sparkling. We'll have plenty of McLube products at C-Scow Nationals, so look for us in our Sail22 shirts for a sample! I had never been to the Chicago Strictly Sail show before, so I wasn't sure what to expect. Chicago is a water loving community and the city has done a very nice job of making the waterfront accessible to everyone. The show in Chicago is held in Navy Pier, which is quite unlike the show Annapolis Boat Show and Strictly Sail Miami that I've been to. I heard from many people that I ran into that the show was approximately 25% smaller than it has been in the past and it did seem pretty small. I started my day in the elevator with a man and his friend who had come to the show to buy a boat. He had his camera ready and he knew exactly what he wanted...something around 17 feet that could sleep 4 comfortably. And he was serious. I wonder if he found it?!? Even though the show was smaller, I do think it was a good sign that someone really did want to buy a boat and get into sailing. I made stops at the booths of some of our vendors and had quick meetings. Of course, I had to explain to many of them why Ed wasn't there. "He's in Grenada for Grenada Sailing Festival. Poor guy, I know...Well, if it's any consolation he is racing on a J24." Luckily, I went last year and it is a great event. Can I say, I'm a little bit jealous though?!? I met with Ron Miller from Nexus. He used to be our Tacktick rep, but has recently started at Nexus and their electronics products look interesting. We are happy to have this as an option for our clients when they are looking for new instruments. Next up was a meeting with our rep, Nathan McKinley, from Kaenon. I ended up jumping in and helping him out as he became swamped with people wanting to check out the newest Kaenon shades. We'll be placing an order for Kaenon's to restock our supply in the next week after selling out of many of our styles at Key West Race Week. If there is anything you want us to order, let us know. Kaenon has many new styles and some great options in the lower price range now as well. Ronstan was next and Ben Moon filled me on on the latest and greatest. The Orbit blocks, which are some of my personal favorites, have some new additions to the family. Instead of just having the becket, many now have a swivel head and shackle option. 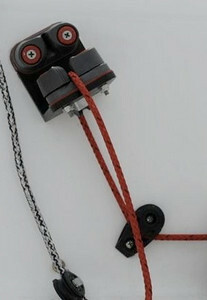 The new Jib Car Lead system look like it could be pretty sweet as well. The Carbon Battlesticks received a face lift this year too with a new grip for decreased hand fatigue. The Melges booth was busy with both Harry, Andy and Jim Gluek showing off their beautiful boats. Melges 20 #160 and all of the scows smelled like they had just been pulled from the molds yesterday! I had my first opportunity to race on the Melges 20 at the first event of the Miami Melges 20 Winter Series in Coconut Grove in December and can't wait for my next chance! The boat is a blast and feels a lot like the Melges 24, but at the end of the event, I could still feel both of my legs! I'm definitely sold...now to figure out how Sail22 will get one. If you are offered a chance to sail on one of these great little boats, find a way to make it happen! Spinlock has one of my favorite products of all time, the Spinlock Knee Pad. They have saved my knees so many times on the Melges 24 and Farr 40. If you don't have them, I highly recommend them. They have been upgraded a bit with a new higher density foam and are slightly more ergonomic. I am putting in an order this week to replenish the Sail22 stock for sure! Their Deck Vests are definitely the best if you are looking for an inflatable PFD and their clutches and jammers have new options for the jaws now too. Unfortunately, I some how missed Ron Rosenberg from McLube. Look for a new McLube logo on our Sail22 trailer soon which is part of an ad that will be in Seahorse Magazine for the McLube products. I was fortunate they picked my photo to use for the ad and am looking forward to seeing it in print and on the trailer. As always, Sail22 highly recommends McLube HullKote, OneDrop and SailKote. We always have plenty in stock and samples as well, so stop by at the next event and see the new graphic and pick up a McLube sample! A great group from the Maxinkuckee Yacht Club met at the show and visited our very own Rear Commodore, Matt Grant of SailRite. We discussed our upcoming season on Lake Maxinkuckee and then we headed to dinner at Ben Pao's. Excellent food and company! Do you have everything you need for the Melges 24 Worlds October 23-31, 2009 in Annapolis, MD? After living in Annapolis for 5 years, it can be pretty hit or miss on the weather. It's currently raining, cold (in the 40's) and there's that bone chilling dampness present in the air. I don't even think the ducks are enjoying the weather! 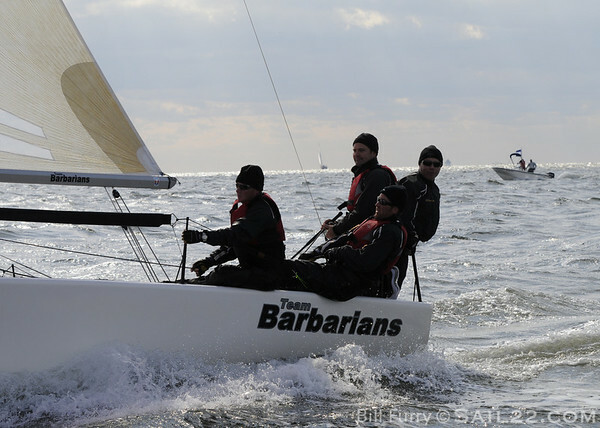 Last year's Melges 24 North American's were pretty cold and teams coming to the Worlds will need to be prepared. Here's our list. Highly Recommended things to Bring or Buy: 1) Dubarry Boots -Ed has the Newports which were released this past Spring and really likes them. They retail for $299 and have more support than any other Dubarry boots. The sole is a sneaker style and they have the Gore-Tex liner to keep your feet dry! I've had the Dubarry Annapolis (discontinued) for several years and wear them all of the time. The Newport is a newer version of the Annapolis. If you don't already have Dubarry's they are one of the best investments insailing gear you can make! 2) Great Foul Weather Gear -Sail22 is proud to be a Henri Lloyd Elite Dealer. We have the full range of Henri Lloyd gear available at Sail22Gear.com and have plenty of gear available, just let us know what you'll need. We highly recommend the TP2 Alpha Shadow 2G Salopette and the TP2 Alpha Shadow 2G Smock & Hooded Smock. The nice thing about the Hooded Smock is that it is a full spray top with a built in hood with Henri Lloyd's Optivision so that you can still see with your hood up! 3) Water Resistant Shorts -This time of year is the perfect time to break out the heavier pairs of shorts. Henri Lloyd makes a great pair, the TP2 Alpha Shadow Short. Everyone that we know that has tried them raves about them. 4) Wicking Layers -Dig out your ski stuff...seriously! Base layers, vests and jackets for sure. No matter what, you are going to need them. We have lots of Henri Lloyd Atmosphere and and Featherweight shirts, along with our new favorite jacket, the Henri Lloyd Fusion Soft Shell. Many teams love the Patagonia and SLAM layers too. 5) Socks-Wool & Waterproof -Last year at the Melges 24 North American's we tried out the Dubarry wool socks for the first time. They are our favorite wool socks for sailing. We also really like our Smartwool socks and a must have is a pair of Gore-Tex Seal Skins. 6) Gloves, Hand Warmers & Winter Hats -Check out the new Henri Lloyd Stealth Winter Gloves which are made of neoprene. I can't wait to try them out! Grab some hand warmers, they really do work for warming your fingers up between races. Winter hats are a must too...we have some Sail22 ones still, let us know if you are interested! 7) All of your regular sailing gear...after all...it is Annapolis and might be 80 and sunny... We can only hope! Sail22 and Henri Lloyd have teamed up to help support the Sail22 Melges 24 Worlds Tuning Regatta in Annapolis, MD. We have some pretty big things lined up so stay tuned here as we start a relationship that plans to grow in the future. For those of you that loved the movie or wanted to see it but it never came to your area, here it is. I pre-ordered mine and it showed up today. Order yours today by clicking on the link below for DVD or Blue Ray Disk. Check out our new Sail22 Amazon Store for recommendations about some of Sail22's favorite products. We'll be adding a Sail22 Store soon as well with other products, such as our custom Melges 24 parts, geared to our clients. Let us know if there is anything you think we should add or you would like to know more about! We were able to get in 3 races in light air yesterday at the Detroit NOOD. Michael's team started off the regatta strong with a 6th in the first race. They are currently in 12th. Becky's team struggled yesterday and was 160 pounds light, which made things tough. The team will have more weight today, since we are taking out an additional person who wants to learn to sail. Today looks like moderate air 8-15 and flat water which should be good. 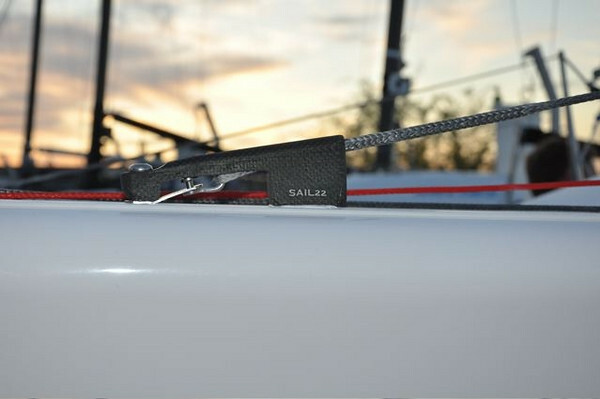 Sail22's Custom Melges 24 parts are very popular with the boats they are on! 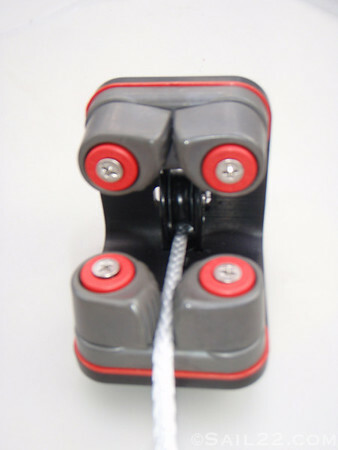 Check out our carbon Jib Block Guard and our Lifeline guards along with our traveler brackets and backstay ferrule here. Please contact us for more information or to order.